Any lawyer can lose a case or disagree with a client. Neither loss nor disagreement alone is sufficient grounds to file a complaint against your lawyer. However, if you believe that your lawyer is guilty of misconduct or malpractice, you may file a grievance with a disciplinary agency or a legal malpractice complaint in state court, or both. Examples of misconduct or malpractice include neglect or negligence, fee disputes, misappropriation of money and conflict of interest. Every state has at least one attorney discipline agency. If you believe your attorney has engaged in malpractice or misconduct, you can file a complaint with the attorney disciplinary agency, or consider filing a malpractice action against your lawyer for money damages. The American Bar Association Model Rules of Professional Conduct are the basis for rules of professional conduct in virtually every state, the District of Columbia and the U.S. Virgin Islands. 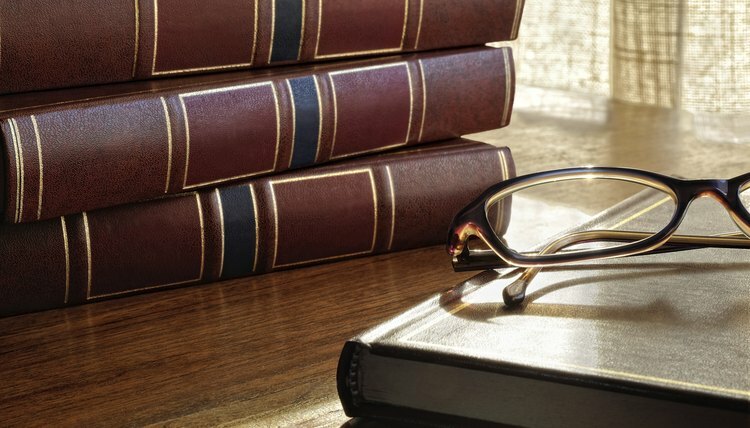 The rules cover a wide range of lawyer conduct concerning the attorney-client relationship, including competence, diligence, fees, confidentiality, conflict of interest and safekeeping property. Other topics covered include transactions with non-clients, public service and maintaining the integrity of the profession. Every state has at least one attorney discipline agency. A complete listing of state agencies is available on the ABA website. Grievance-filing procedures vary by state, but they share basic elements. You need to provide the lawyer’s name, address and telephone number, plus specific details about the matter in which the attorney represented you, including the alleged misconduct. After you file your grievance, the disciplinary agency will determine if it raises enforceable ethical issues. If so, it will conduct an investigation. Upon conclusion of the investigation, the agency closes the file, issues a confidential warning or other confidential action to the lawyer, or authorizes the filing of a formal, public complaint. The filing of a formal complaint results in a proceeding before the state bar association that is conducted like a civil trial. If a formal disciplinary hearing results in a finding of misconduct, the lawyer receives a sanction. The ABA Standards for Imposing Lawyer Sanctions are guidelines for state agencies, similar to criminal sentencing guidelines. Sanctions include disbarment, suspension, reprimand, admonition and probation. A disbarred lawyer may no longer practice law. Disbarment usually results from the most serious misconduct, such as intentional misappropriation of client funds or frequently repeated bad acts. A suspended lawyer may not practice law for a specific minimum period of time, generally three years or less. Reprimands, admonitions and probations do not generally limit a lawyer’s law practice, but they do remain part of her permanent record. If your attorney's actions caused you financial loss, consider filing a malpractice action in state court against her for money damages. To win a malpractice action, you must establish that you and the lawyer had an attorney-client relationship, that she failed to use the degree of care, skill, judgment and diligence used by reasonably careful lawyers under comparable circumstances and that her failure caused you financial harm. Legal malpractice actions are complex and you should consider retaining legal assistance to represent you. Remember that lawyers only owe duties if an attorney-client relationship is formed. If you are not the lawyer's client, you are not owed a professional duty of care, and you cannot sue the lawyer in malpractice. Margaret Lucas Agius, a NALA Certified Paralegal, has been writing for and about the legal profession for more than a decade. Her articles have appeared in the "Michigan Bar Journal," the "Michigan Paralegal" and "Facts & Findings." She holds a Bachelor of Arts in Communication Studies from the University of Detroit Mercy and a Bachelor of Science in paralegal studies from Madonna University. Lucas, Margaret. "How to File a Complaint Against Your Lawyer." , https://legalbeagle.com/2132073-file-complaint-against-lawyer.html. 04 November 2018.